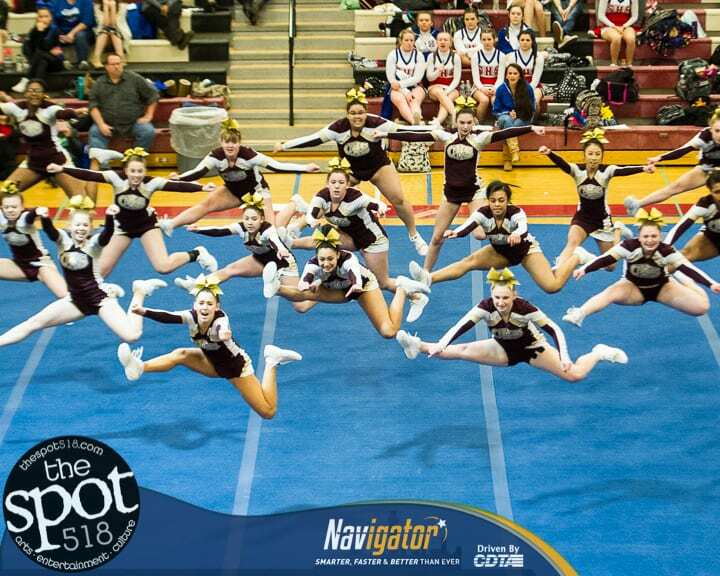 GUILDERLAND – The Cheerleading squad from Colonie won the Division I, large school title at the Section II tournament on Saturday, Feb. 24, with a score of 83.35. Ballston Spa finished second in that division with a score of 78.85 and the Eagles from Bethlehem finished third with 73.8. The home squad from Guilderland won the coed division with a score of 93, edging out Mohonasen, 89.5, and Columbia, 85.7. Saratoga won the small school, Division I title with a score of 86.15, narrowly getting by Shenendehowa, which finished with 84. Shaker High came in third with a score of 77.3.